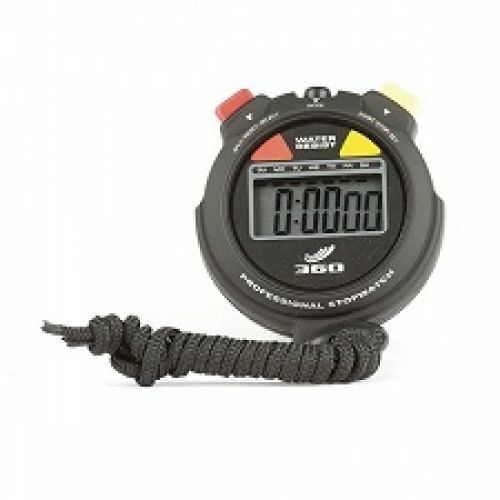 Mid priced stopwatch for all your timing needs. Features 1/100 sec precision chronograph with lap counter, calendar & time display 12/24 hr., daily alarm, hourly chime, large scale time display, water and shock resistant. Includes 1.5V Alkaline battery and lanyard.